Easy-to-use security management for your small, medium, or large business. The experts at Strada Security offers multiple security solutions include window & door sensors, motion detectors, video recorders, and 24/7 security monitoring. Protecting your business is easier than ever. With Strada Security solutions, you can control your small, medium, or large business with an interactive security system. The technology that Strada Security uses allows you to control and monitor your business 24/7 through your smartphone, tablet, or computer. 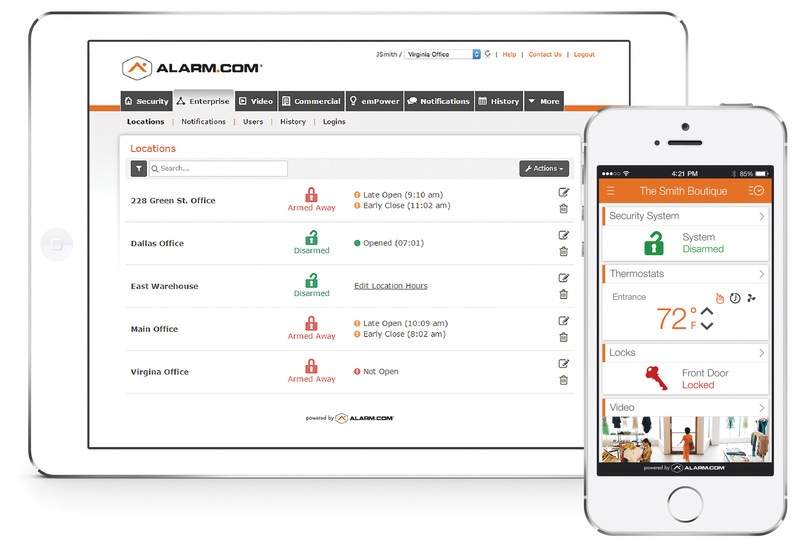 A fully integrated system that offers easy-to-use management for one or multiple locations. Empower your team with intelligent security solutions that take the guesswork out of safety and security for your business. Contact Strada Security at 877-906-7772 for a free on-premise business consultation and put the power and peace of mind of a fully integrated home security systems in your hands.